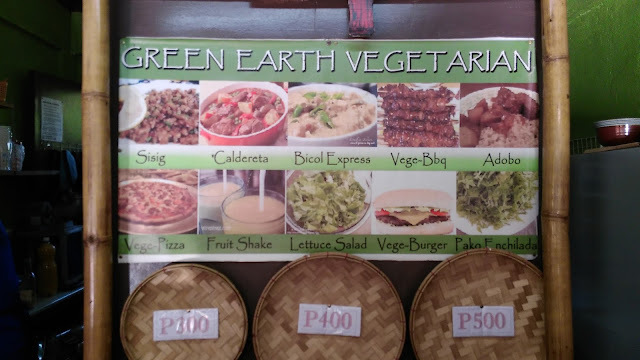 One dilemma that I always have when travelling is whether I will find a place that offers vegetarian/vegan food options. 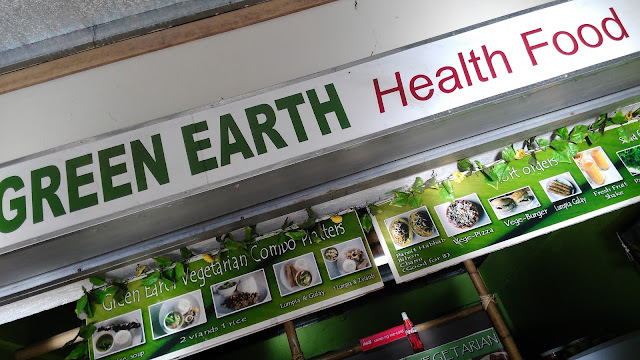 It has always been difficult to do so in most of the destinations I have been to but on our trip to Kamay ni Hesus in Lucban, Laguna, there was one such place that allowed me to eat the healthy food I was craving. I was feeling rather achy, cold and weak that morning but seeing the words Green Earth on a sign among the food stalls almost made me jump for joy! I was excited to see what foodie treats they offered. There was a tarpaulin of some of their dishes which looked really promising. 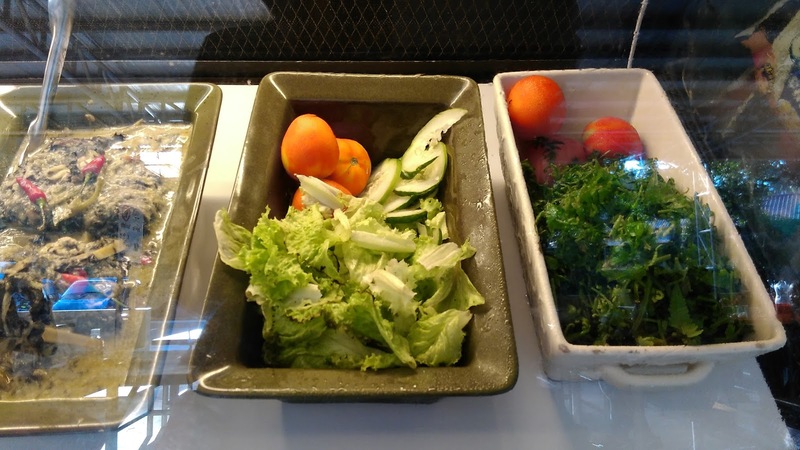 On their glass display were these delicious-looking dishes which also looked like they had fresh ingredients. 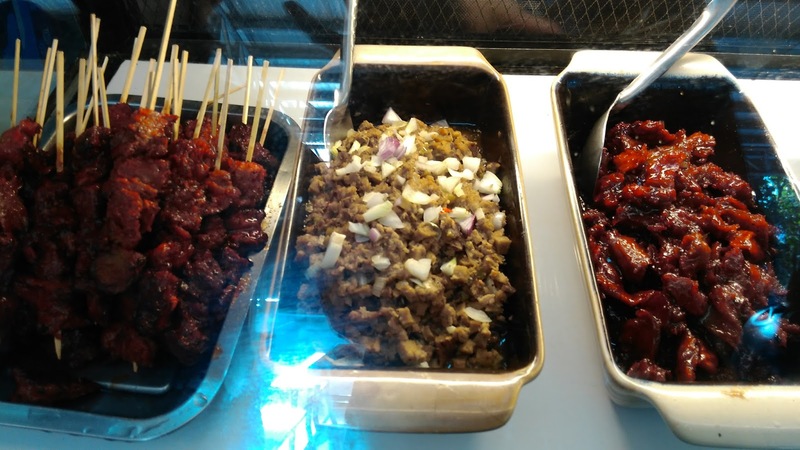 Barbeque, sisig and tocino, all vegetarian versions. 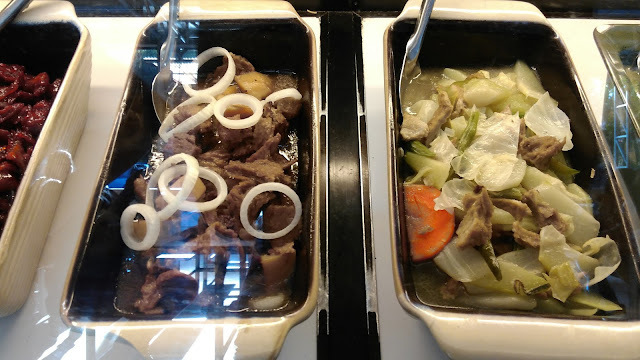 Adobo or beef steak on the left and chopsuy on the right, also no actual meat. We got ourselves an order of the Chopsuy and the Sisig with one rice each. No pictures of these 2 on our place though because we devoured them rather quickly. It gave us the energy to climb the shrine right after. Each serving was enough for one person and costs about Php45 for each of the viands. The chopsuy tasted really fresh and not as oily and the sisig had both the texture of the real thing and was even better tasting. It had a spicy kick to it which was really great to warm us up on a chilly morning. We also ordered ourselves a banana smoothie which was very refreshing and energizing. Our friends had come around to the same area after their climb and we recommended this store. One of them ordered the Barbecue and Paco Salad which she said were both delicious. I hope to see more of these stores on our future destinations.